Entrants must be aged 18+ and UK residents only. 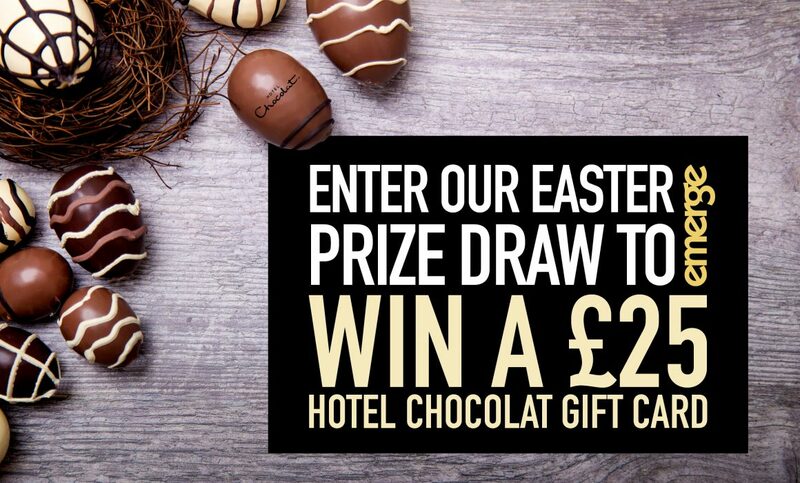 The winner will be revealed by the end of Wednesday 17th April via the website and across our social media channels. We will contact the winner and the gift card will be posted to your address. What an egg-citing time! We wish you the best of luck! If you have any questions please get in touch by emailing studios@emergedesign.co.uk or phoning 01952 632750.